Eimear McBride's explosive, award-winning, and critically acclaimed debut novel, A Girl is a Half-formed Thing, is a demanding, breathtaking read. Hailed by the New York Times Book Review as a "future classic" it has elicited widespread international praise that includes comparisons of McBride to Edna O'Brien, Virginia Woolf, and James Joyce. Since its publication, McBride's novel has won almost every major literary award, including the Baileys Women's Prize for Fiction. Her second novel, The Lesser Bohemians, was published in September 2016 and is the winner of the James Tait Black Memorial Prize. A Girl is a Half-formed Thing tells the story of a young Irish girl’s devastating adolescence as she and her terminally ill brother, who suffers from a brain tumour, struggle for a semblance of normalcy while undergoing emotional and physical abuse from those around them. Not so much a stream of consciousness as an unconscious railing against a life that makes little sense, the novel presents the reader with shocking and intimate insight into the thoughts, feelings, and chaotic sexuality of a vulnerable and isolated protagonist. With sentences stripped to their bare bones, McBride seeks to make readers and audiences think about how we tell the stories of our own lives when we’re the only ones listening. A powerful work of fiction, A Girl is a Half-Formed Thing instantly takes its place in the literary canon. McBride’s second novel, The Lesser Bohemians, was published in September 2016. The story of an eighteen-year old Irish girl who meets an older man at drama school, it is a captivating tale of passion and innocence set across the bedists of mid-1990s London. In breathtaking prose, McBride holds new love under her fierce gaze and singular voice. 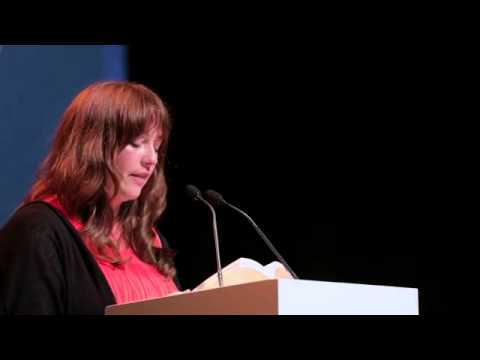 The novel won the James Tait Black Memorial Prize and was shortlisted for the Royal Society of Literature’s Encore Award, Irish Novel of the Year and the Goldsmiths Prize. 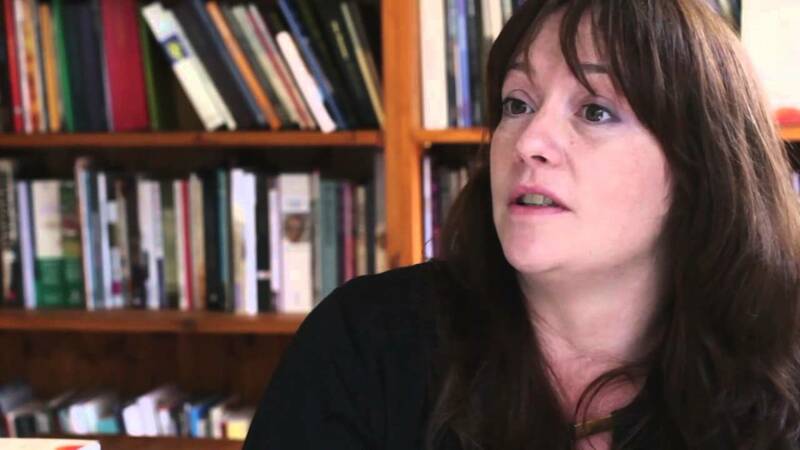 Eimear McBride is the inaugural holder of the Beckett Centre Creative Fellowship at the University of Reading and occasionally writes and reviews for the Guardian, the Times Literary Supplement and the New Statesman. She lives in London. 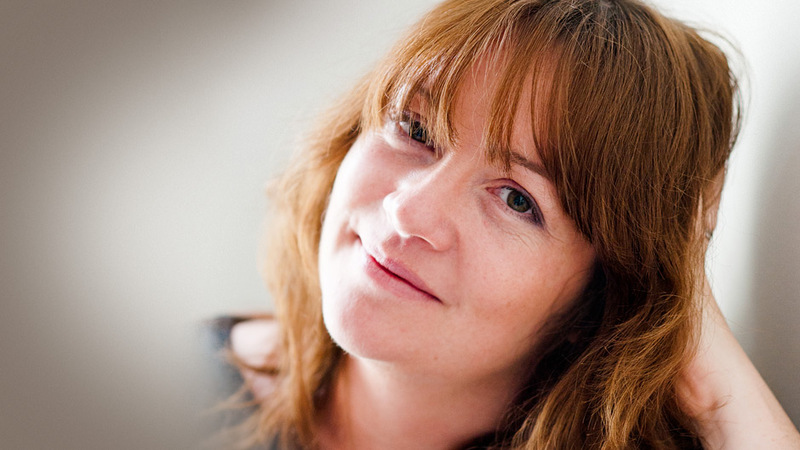 Eimear McBride discusses her novels, A Girl is a Half-formed Thing and The Lesser Bohemians, as well as feminism, modernism and literary experimentation, Ireland, religion, bereavement, issues around sexual abuse and female sexuality, as well as her journey to publication. Spellbinding…[H]er stunning second novel shows that she has not only acquired fresh surfaces to work on, she has also developed exciting new brush strokes…McBride’s prose sings…The Lesser Bohemians recalls Samuel Beckett and Henry Miller. Ultimately, though, it is a fiercely original work, an extraordinary novel crafted by a fearless modern writer. [A] propulsive coming-of-age story… imbued with a captivating sense of youthful excitement and vulnerability. ...gripping... McBride is always brilliant on her central theme – the paradox that it is shame that makes us behave shamefully. For a second time, Ms. McBride has channeled the mental life of a narrator with an intensity, a lack of mediation, that few authors can achieve. The Lesser Bohemians is a full-on sensory experience—and another superlative achievement. A wonderful but harrowing first person stream of consciousness. . . it truly is one of the most extraordinary things I’ve read in the last year. Blazingly daring…[McBride’s] prose is a visceral throb, and the sentences run meanings together to produce a kind of compression in which words, freed from the tedious march of sequence, seem to want to merge with one another, as paint and musical notes can. The results are thrilling, and also thrillingly efficient. The language plunges us into the center of experiences that are often raw, unpleasant, frightening, but also vital. A future classic…[with] inevitable comparisons to the Irish tradition — Beckett’s monologues, Joyce’s Molly Bloom soliloquy in Ulysses and the ontogenetic prose of A Portrait of the Artist as a Young Man— and to the Irish/¬British female avants: Edna O’Brien, Virginia Woolf, Ann Quin, Christine Brooke-Rose. What all that praise had in common, besides that it was deserved, was the sad sense that the English-language novel had matured from modernism, and that in maturing its spirit was lost…McBride’s book was a shock to that sentiment, not least because it is about that sentiment. A Girl subjects the outer language the world expects of us to the inner syntaxes that are natural to our minds, and in doing so refuses to equate universal experience with universal expression — a false religion that has oppressed most contemporary literature, and most contemporary souls.